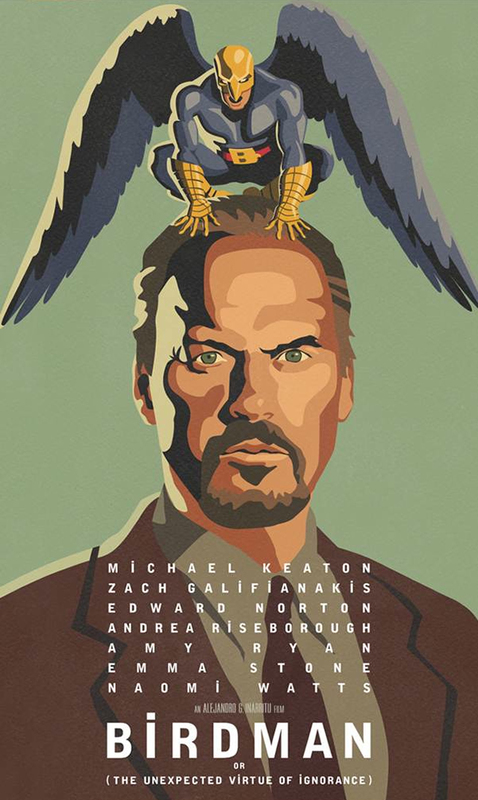 First ‘Birdman’ Trailer: Is This Michael Keaton’s ‘The Wrestler’? Michael Keaton has been enjoying a bit of a career renaissance of late with show-stealing supporting roles in RoboCop and Need for Speed, but it’s been a while since he’s been given the sort of juicy leading role we know he’s capable of knocking out of the park. Enter Alejandro González Iñárritu’s Birdman, a different sort of film from the typically bleak and morose-leaning director of Amores Perros and 21 Grams. The dark comedy stars Keaton as an aging movie star famous for portraying an iconic superhero. The film follows his efforts to put together a Broadway play in an attempt to reclaim his past glory. The trailer suggests a blend of the obsessive paranoia of Black Swan with the hallucinatory fantasy of All That Jazz, but we can also expect a lot of outlandish supporting performances from a cast that also includes the likes of Emma Stone, Zach Galifianakis, Edward Norton, Amy Ryan and Naomi Watts. As for Keaton, I can’t think of a more on-the-nose casting since The Wrestler, which made the resurgent Mickey Rourke a major awards player. Birdman opens on October 17, but Keaton’s Oscar campaign may as well begin right now. Watch the trailer below. Batman, The Hulk, and Gwen Stacy.